Follow the boardwalk. That’s what this painting begs you to do. The forest is lively and ever-changing as the trees gather their energy to grow leaves for the spring and the water tumbles over rocks and fallen logs. This painting is all about the energy in the individual sections of this small space. 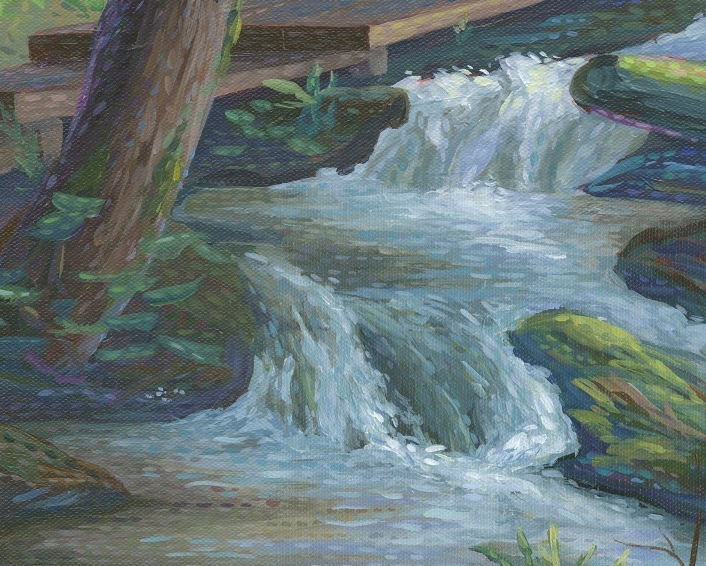 In one area the water is lively and spirited, in another area it is tranquil. Nothing stays the same for long in the forest.